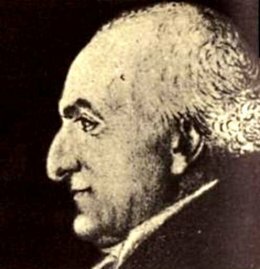 On this date in 1794, French Revolution firebrand Jacques Roux committed suicide to avoid execution during the Terror. He became a leading exponent of the radical enragés, a faction that really took the Revolution’s purported egalite to heart. The man’s invective against the merchant classes packed considerably more heat. Freedom is nothing but a vain phantom when one class of men can starve another with impunity. Equality is nothing but a vain phantom when the rich, through monopoly, exercise the right of life or death over their like. The republic is nothing but a vain phantom when the counter-revolution can operate every day through the price of commodities, which three quarters of all citizens cannot afford without shedding tears. 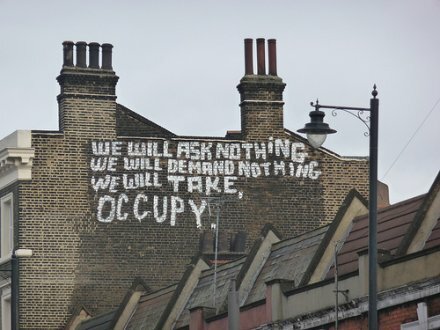 For the last four years the rich alone have profited from the advantages of the Revolution. The merchant aristocracy, more terrible than that of the noble and sacerdotal aristocracy, has made a cruel game of invading individual fortunes and the treasury of the republic; we still don’t know what will be the term of their exactions, for the price of merchandise rises in a frightful manner, from morning to evening. Unfavorably contrasting the new haves with the ancien regime is the sort of thing that gets you into trouble in a bourgeois revolution. Burdened by multiple wars, and then by poor harvests, France’s economy was a mess. Later that same year, Paris’s urban poor, the sans-culottes, invaded the Convention to force anti-hoarding and price control measures. Roux didn’t create that situation: he just had the nerve to risk his neck talking about it. But by then, that prim ascetic Robespierre had already begun hounding Roux. He would hound him to his death. Knowing what that meant, Roux stabbed himself in court thrice with a knife. The president of the court hastened to his assistance and displayed much friendliness towards him, even giving him the kiss of civic brotherhood, before he was removed to the Bicetre prison. In the prison infirmary Roux “tried to exhaust his strength,” as it was reported to the procurator of the Revolutionary Tribunal, Fouquier-Tinville, by opening his wounds; and finally he succeeded in stabbing himself once more, this time mortally, through the lung. In terms of present-day iconographic potential, the French Revolution probably did not produce a more outstanding radical leftist; Roux’s direct critique of economic power clearly marks him as a forerunner of subsequent generations’ communist and anarchist movements … as well as even more contemporary voices. There’s more of Roux’s writing on Marxists.org. * A much more serious graft charge would likewise be deployed to topple Danton. Longtime readers may recall that this post was briefly (and mistakenly) up on this date in 2011. Oops.